In the past couple of years, Boston residents may have noticed a change in the local florist landscape. Roslindale's Square Dandelions Flower Shop closed over a year ago and both Louie the Florist and Calisi's Flowerland have closed their doors as we. At Exotic Flowers, we are going to miss our colleagues. We are firm believers in the rising tide and feel that the more flower shops, the more awareness. I remember going to Mass at Sacred Heart in Roslindale every Sunday as a youth and during the service the priest would always remind us what to be thankful for. 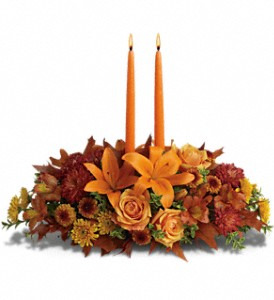 At Exotic Flowers in Boston, we are very thankful. We appreciate being such a special part of your lives. 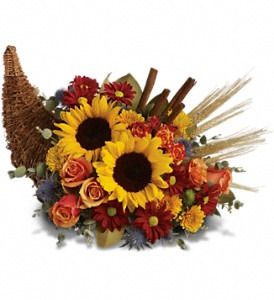 Your birthdays, weddings, proms, and funerals give our jobs as florists meaning. You give us a huge responsibility. You entrust us to convey your emotions. We will never take that job lightly. Thanksgiving is my favorite holiday. My day starts with breakfast with my boys. I head into our flower shop in Roslindale at 730am. Yes we are open for walk in customers. 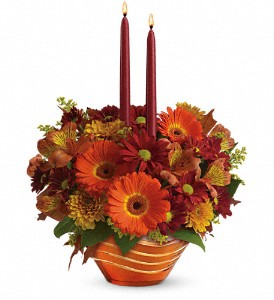 What better hostess gift than flowers for the table ? We close about 2pm and I head with Suzie and the boys over to my mother in law Murphy's home in West Roxbury where I feast on turkey with all the trimmings. After digesting this feast, I move onto my parents home for a spread of homemade ravioli, meatballs, sausage, lasagna and bracciole. Family, food, wine and flowers. Thanksgiving is about spending time with family, friends and tradition. If you cannot be there, please call or even better send flowers. Start your own tradition. Thank you for loyalty. Thank you for your referrals. Thank you for spending your hard earned money at Exotic Flowers & Lombardi Florist. If you have been to Exotic Flowers in Boston on Mother's Day or Valentine's Day, you have seen the action, the crowds and only half the fun. Exotic Flowers occupies a corner lot at American Legion Highway and Canterbury Street in Roslindale. Our flower shop has been in this location for over seventy five years. When a client arrives and says that he has never been to our flower shop before, we are thrilled. A sales rep will immediately ask if you would like to see more of the under belly of Exotic Flowers in Boston. At the front of the store, a client will often find a wall of teddy bears along with a collection of artificial flowers designed for the cemeteries which surround our flower shop. Exotic Flowers is near St Michael's cemetery, Forest Hills cemetery, Mount Calvary, New Calvary, Mount Hope and Oak Lawn cemeteries. The front of the store also features Godiva Chocolates, greeting cards, balloons, dish gardens, bonsai trees, orchids and house plants. As you travel deeper into our store, you will see a bank of cubicles where telephone sales are completed. We like action and enjoy the buzz and energy that ringing telephones create in a store. Sorry, there is no tranquility here. We are more akin to a busy restaurant. Behind our telecommunications sales outpost is our open floral design area. Clients are welcome to watch Boston's Premier Florists in action; kind of like an open kitchen. On the opposite side of floral design is a ten door floral display cooler loaded with more than forty floral arrangements, dozens of seasonal bouquets and more than 10,000 roses. As you drop even deeper into the store, a fruit and gourmet room is in the rear. In this room Exotic Flowers creates hundreds of fruit, gourmet and junk food baskets that we deliver to Boston, Cambridge and the entire 617 and 781 area codes. Take a left at our fruit/gourmet room and you head into an authentic glass topped greenhouse. This greenhouse also operates as a walk in refrigerator during Valentine's Day. After walking out the back door, you will see our growing greenhouse. During the fall, Exotic Flowers grows poinsettias. During the summer, we grow hardy mums. During the winter, the experienced growers at Exotic Flowers design mixed annual hanging baskets which beautify the streets, porches, gardens and backyards of Boston. As you make a loop around the rear of the greenhouses, you will land in the middle of our garden center. In December, you will be surrounded by evergreen wreaths, kissing balls and Christmas trees. During the spring and summer, more than three hundred hanging baskets are overhead. You will also notice two houses in the property. People do live in both houses. What could be better than living in a gated garden paradise ? so next time to you stop at Exotic Flowers, ask us for a tour. You are a guest and we are at your disposal. Located at 609 American Legion Hwy in Roslindale, Exotic Flowers boasts a premier urban garden center. Exotic Flowers has remained at this spot for over seventy five years. Exotic Flowers remains in the middle of what we like to call 'flower mile,'. One block towards Hyde Park is City Farm floral as well as Maria's plant stand. At the intersection of Walk Hill St and American Legion Hwy are Walk Hill Florist, Calisi's Flowerland and Louie the Florist. These six urban garden centers have remained in business for over two centuries combined. While each venue provides their own flowers and plants, Exotic Flowers remains a destination floral and garden center. 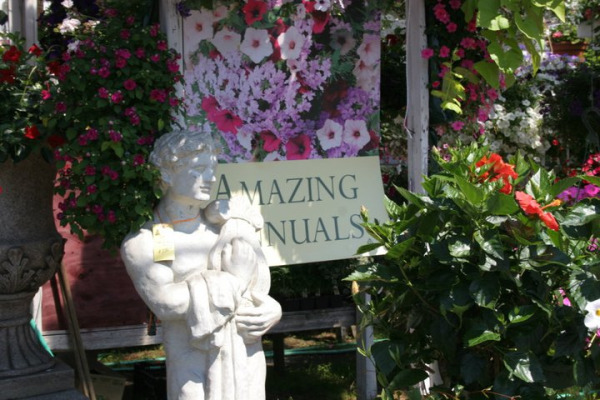 Our Boston garden center offers annuals, perennials, potting soil, statuary and pottery. We also carry plant food and garden tools. Impatiens and geraniums are the best selling garden plants for our Boston inner city fans. Hanging planters featuring petunias, sweet potato vine and bacopa are our best seller overall. Our prices are quite competitive as we grow a lot of our own plants in our two Roslindale greenhouses. We also grow hardy fall mums as well as poinsettias. These locally grown plants not only help the environment, but also keep money in the local economy as well. Many local shools, like the Haley School visit to see our operation in action and the students are given free plant lessons. During the fall, our Boston garden center features mums, kale, asters, pumpkins and cornstalks. As December approaches, we transform the garden center in Roslindale into a winter wonderland replete with Santa Claus, twinkle lights, Christmas Trees and decorated evergreen wreaths. December remains our most active month. Clients are encouraged to come in for free calendars and to see our greenhouses filled with vibrant red poinsettias. The inner city of Boston offers so much to so many and Exotic Flowers is proud to be a mainstay in the Boston community. Exotic Flowers sells the highest-quality flowers and plants available. Our goal is to not only meet our customers expectations, but to exceed them. As Boston's Premier Florist, all employees of Exotic Flowers realize the importance of sending and sharing our clients' emotions. 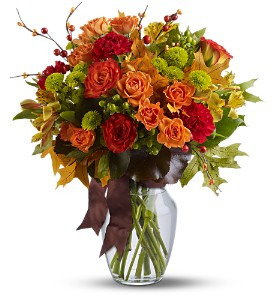 Our goals as a family owned Boston florist are to create financial stability through Referrals and Repeat Business. The staff of Exotic Flowers and Lombardi Florist realize the importance of community, our neighbors and the cleanliness of our neighborhood. Exotic Flowers strives to create and nurture relationships with our vendors. The leadership at Exotic Flowers in Boston and Roslindale promotes the wellness of our staff and clients by touting the health benefits of flowers and plants. Exotic Flowers believes in education and involvement. We believe in industry groups like SAF (Society of American Florists); social media groups like Facebook; and local groups such as Little League or the chamber of commerce. 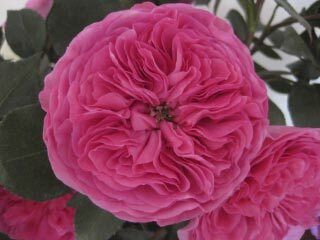 Exotic Flowers, Boston's Premier Florist now has garden roses arrive every monday. These Nostalgic Roses have an old world feeling to them either by their cup and quartered shapes or their fruity or flowery fragrance. These are roses are grown in Colombia at Alexandra Farms. Alexandra Farms is a small, cozy, nostalgic garden rose farm located in the incredibly fertile savannah of Bogota, high in the Andes mountains of Colombia, where the weather is perfect for rose growing: warm days and cool nights. The garden roses are all hand cut, graded and hand packed. Trust Exotic Flowers, your local Boston florist to continue bringing in the freshest flowers in Boston. Embarking upon his ambition to fulfill the American dream, Arnold "Sonny" Canale bought Lombardi Florist in 1957. He had been an employee there since 1943. 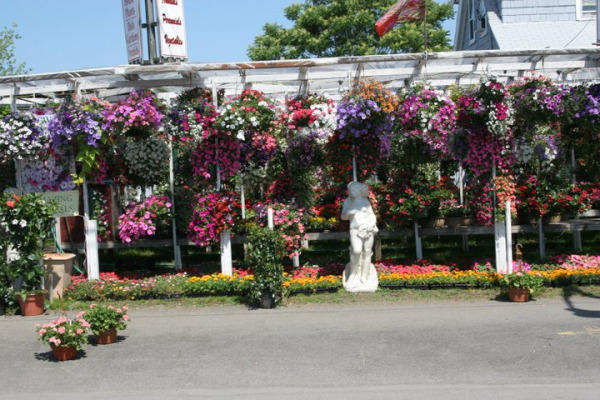 Lombardi's had been a successful florist and nursery since the early 1900's. In 1959, Sonny married Marie "Russo" Canale and merged Lombardi's with her family's florist, Russo's Florist. Russo's Florist had been in business since the early 1900's when Marie's parents arrived from Ponza, Italy. Foreseeing the changing economy in the coming millennium, Sonny adopted the name Exotic Flowers as its primary signature for doing business in 1993. In 1994 a satellite location was opened at 2 Dartmouth Street in Boston's South End. 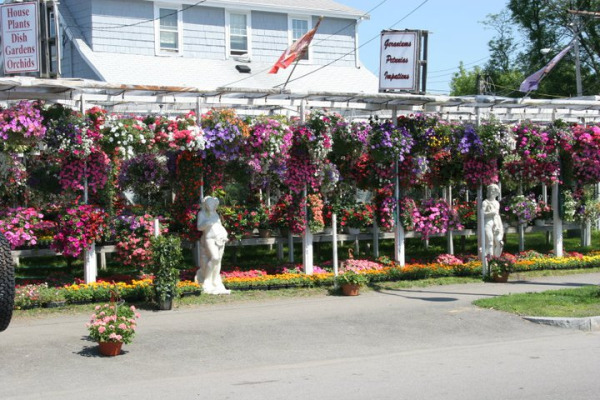 In 1995, in order to expand our services, we opened a full service floral shop and garden center on route 3A in Cohasset. In June 2001 our flagship store opened at the greenhouse at Faneuil Hall Marketplace. Roslindale remains company headquarters. All phone calls, on line orders, and deliveries emanate from this location. In 2007, Exotic Flowers partnered with the Boston Red Sox to be The Official Florist of the Boston Red Sox. Exotic Flowers was thrilled to be such a special part of their World Champion season. Our success with the team led to the development of our online memorabilia store, www.fenway1912.com Exotic Flowers firmly believes in sports and their benefit to society. We have been the florist for the PGA Deutsche Bank Championship since its inception, and in 2010 partnered with the Women's Professional Soccer team - the Boston Breakers (www.bostonbreakers.com)as their official florist. Exotic Flowers and Lombardi Florist have also been proud to sponsor our local softball teams and reward our Little League Champions. Exotic Flowers realizes we are a part of the community and continue to do our best by employing a strong business ethic and offering a beautfiul destination florist in Boston. One can always come in for free plant advice at any time.In 2009, Exotic Flowers closely worked with Fisher House Boston - who provides care for our wounded veterans and their families at the Veterans Hospital in West Roxbury, MA. 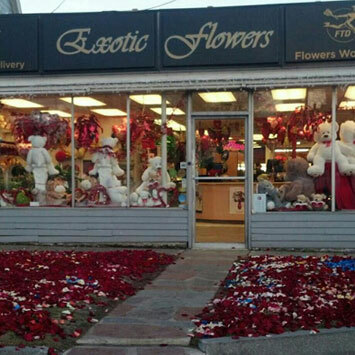 Exotic Flowers remains a family owned and operated Boston florist. Sonny and Marie work daily and their children all play integral roles in the future of the company. Lauren Canale Trifiro operates an online florist from Scituate. John Canale works part time and offers his experience and customer service skills for the benefit of the growth of Exotic Flowers. Rick Canale oversees the daily operations and ensures that Exotic Flowers remains Boston's Premier Florist. Rick, I wanted to thank you for helping me with Mark's birthday party. The flowers were beautiful and balloons very festive. Thanks again - next time we're in Boston, we'll stop by. Thank you. - Laura" in regards to being the florist for a birthday party in Boston. As usual you and your staff was above and beyond expectations! My mother just called to say that the flowers are beautiful. Thank you and thanks for such quick service. I'll definitely be a returning customer. recommend you and order from you again! Caleb C" in regards to serving Caleb as his Boston florist. "Thank you. the flowers were beautiful. i will be sure to keep your info on file for future reference. Kathleen " in regards to serving Kathleen as her Boston florist. BOSTON, JULY 20th, 2010 - Exotic Flowes was recently named a member of Teleflora's National Account Program, an elite incentive and loyalty program created exclusively for Teleflora's top member florists in America. 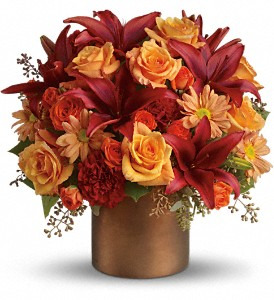 Teleflora, the world's leading flower delivery network offering only hand-arranged and hand-delivered floral arrangements, created the program as a way to thanks its top member florists for their hard work and support. Teleflora member florists qualified for membership in the National Account Program by sending orders through the Teleflora network, growing their TF hosted website order volume and designing and delivering orders from fellow member florists. 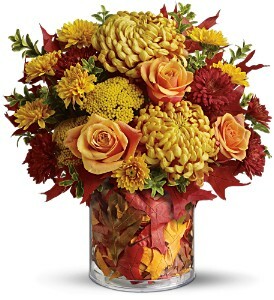 Members of the Teleflora National Account Program represent the top 5% of Teleflora's 18,000 florist partners.